Prime Minister Justin Trudeau spoke with U.S. President Donald Trump late on Friday to discuss trade and other economic issues, White House Press Secretary Sarah Sanders said on Saturday. 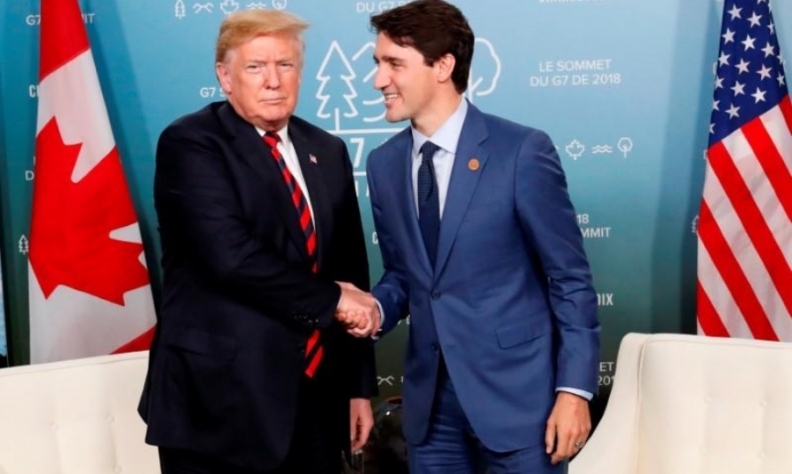 The phone call between the two leaders was the first to be publicly disclosed since Trump blasted Trudeau as “very dishonest and weak” at the end of the Group of Seven leaders meeting in Canada earlier in June. Trump has repeatedly suggested Canada was profiting from U.S. trade, and his blistering comments after the G7 meeting drove bilateral relations to their lowest point in decades. On Friday, Canada struck back at the Trump administration over U.S. steel and aluminum tariffs, vowing to impose punitive measures on C$16.6 billion ($12.6 billion) worth of American goods until Washington relents. During the call, Trudeau told Trump that Canada had no choice but to announce reciprocal countermeasures to the steel and aluminum tariffs, according to a separate statement issued by Canada late on Friday. The two leaders agreed to stay in close touch on a way forward, the statement added. Trudeau also expressed his condolences for the victims of the shooting at the Capital Gazette newspaper in Annapolis, Maryland, the Canadian statement said. Separately, Trudeau also spoke with Mexican President Enrique Pena Nieto on Friday to discuss the Mexican elections on July 1. The two leaders also discussed the North American Free Trade (NAFTA) negotiations and agreed to continue working toward a mutually beneficial outcome.